This floor lamp is a magnified version of designer Philippe StarckÕs Archimoon lighting series for the outdoor living space. It features an outer shade hand-woven with DEDON fiber in four different two-tone versions, as well as an acid etched hand-blown pressed glass internal diffuser and tubular aluminum arms with tie rods. 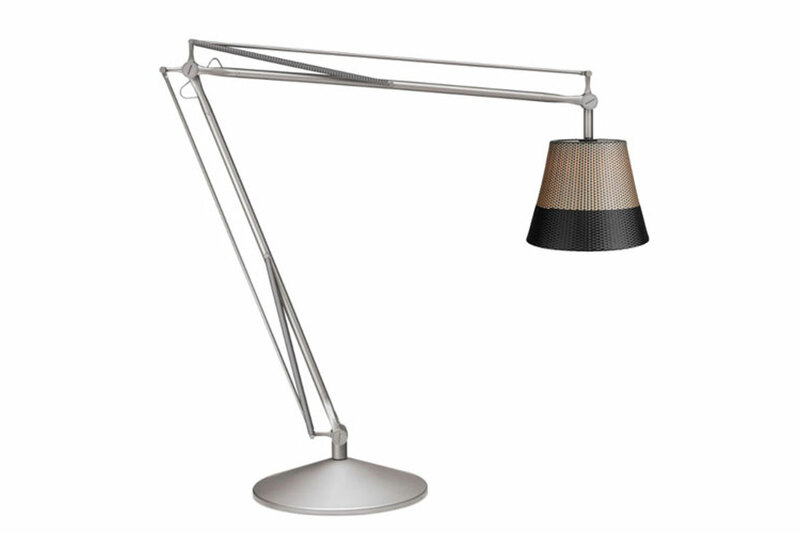 This lamp is supported by a sand-cast aluminum base with six lead counterweights and gray painted spun aluminum base cover.